A very lovely friend treated me to afternoon tea at the Fairmont Hotel Vancouver on West Georgia Street in Vancouver. 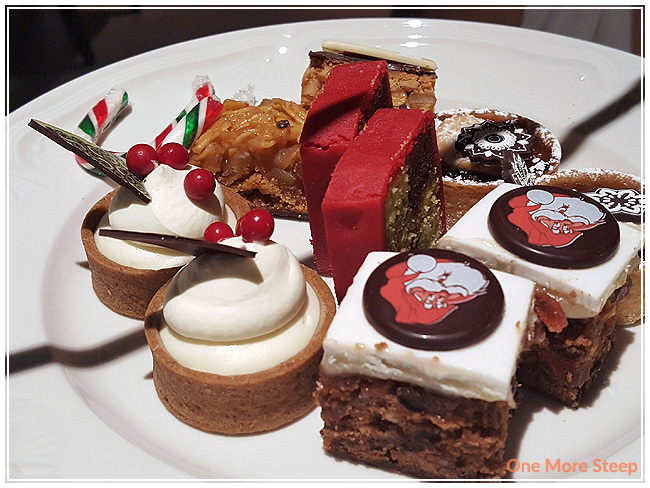 Shortly after arrival, we were whisked away to our table – we walked past people having brunch and the amazing buffet selection with everything in matching Le Creuset pans. The table settings were beautiful, with the white cloth napkins folded so lovely like a tree. 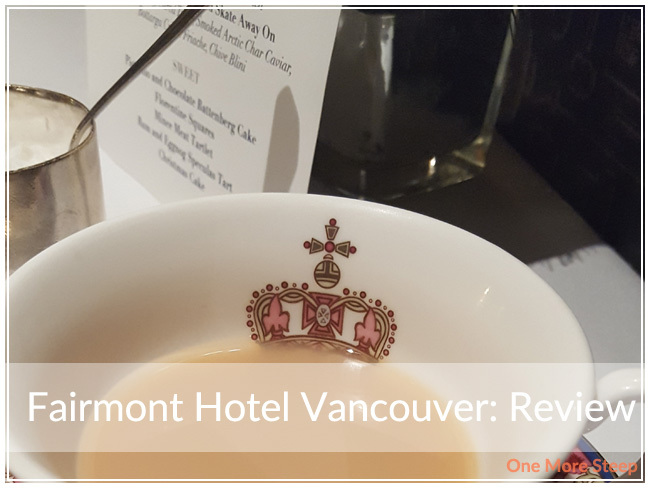 It was my first time having afternoon tea at the Fairmont, so I’m not sure if it was their usual design or if they change it up for their themes. When we were leaving, we were told that the January theme was Hollywood. As someone who’s a fan of Earl Grey, I really enjoyed the lightness that the lavender flavour added to the tea. There was a touch of sweetness and the floral notes mixed well with the Earl Grey’s bergamot. I had added some sugar and milk to my cup of tea. Because of the lavender, it reminded me of a lighter version of a London Fog. We were started off with the Pumpkin Spiced Panna Cotta – so tasty and smooth. The little gingerbread man wasn’t my favourite cookie, but the panna cotta was a delight. I’ve tried making panna cotta before, and found this one to be quite light compared to other panna cottas that I’ve tasted. 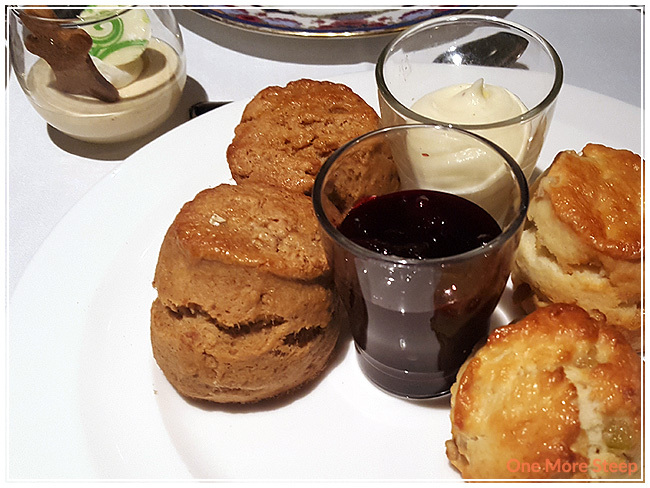 We were treated to two different types of scones – a Gingerbread Scone and a Raisin Scone, paired with currant compote and clotted cream. Between the two scones, my favourite was the scone with the golden raisins because I found it had a lighter texture – although I did enjoy both. The currant compote was sweet with a touch of tartness and the clotted cream was divine. Of course, our afternoon tea came with the traditional three tiers of treats. The bottom tier had A Partridge in a Pear Tree (confit quail, spiced pear, hazelnut pie), Chestnuts Roasting on an Open Fire (chestnuts, pine tip roasted mushrooms, smoked ham, blue cheese on pumpernickel loaf), and Everybody Knows a Turkey and Some Mistletoe (truffle, wild cranberry, turkey sandwich). The quail confit was delicious, I really enjoyed the spiced pear because it had a nice sweetness to it. The chestnuts and mushroom was a bit difficult to eat because the mushrooms fell off fairly easily and it was just a bit messy (although good). My favourite from the bottom tier was the cranberry and turkey sandwich because it reminded me of the traditional turkey dinner and was very appropriate for the holiday season. 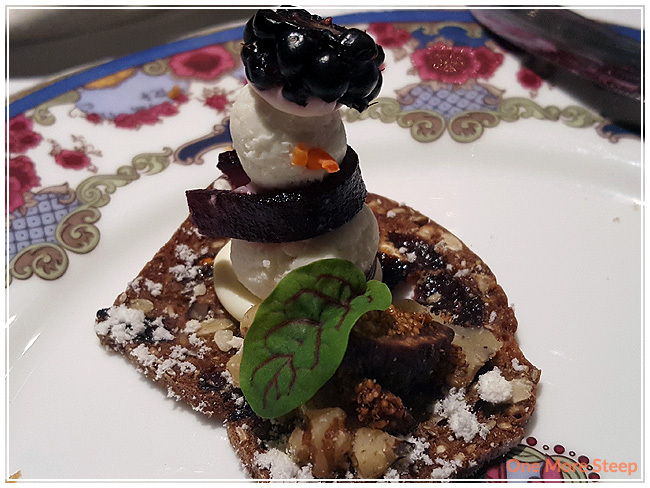 For the middle tier, there was the I Wish I Had A River I Could Skate Away On (winter ice fishing cured trout, smoked arctic char caviar, bottarga crème friache, chive blini) and the Frosty (pinenut “snow” man with goat cheese, pomegranate fig walnut crostini). When the goodies first arrived, I oohed and ahhed over the snowman especially because it’s just too cute. To properly eat Frosty, I squished him down my knife to spread the goat cheese over the crostini. The crostini was crisp and so good. 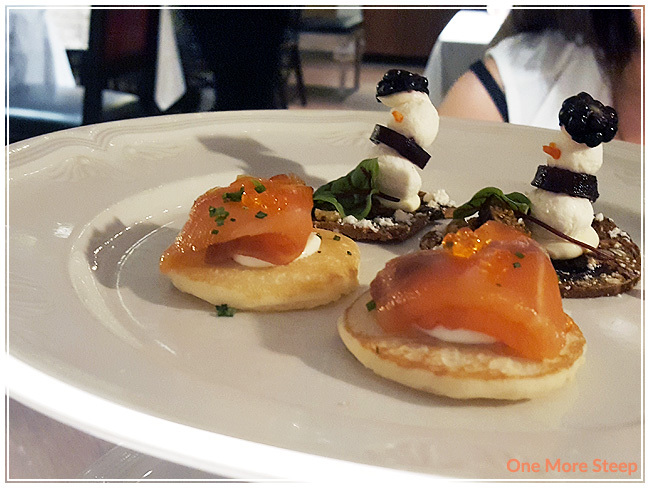 The trout was delicious, with the saltiness from the caviar balanced out by the crème friache – such a clever combination. The top tier was one of my favourites! Here there was the Pistachio and Chocolate Battenberg Cake, Florentine Squares, Mince Meat Tartlet, Rum and Eggnog Speculas Tart, and the Christmas Cake. 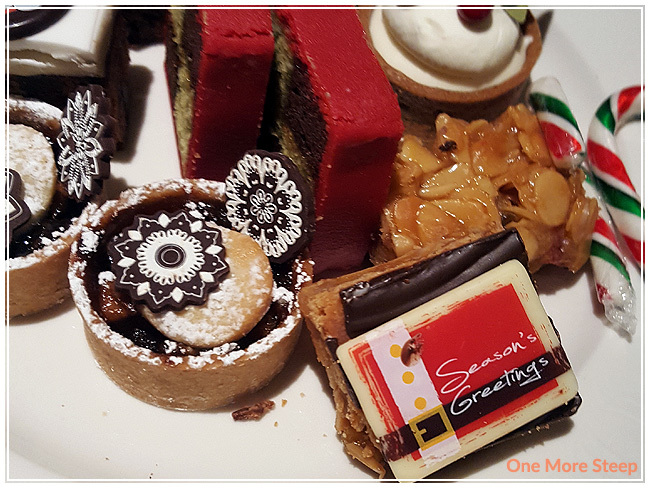 My least favourite was the Christmas cake – I found it to be too dense for me, although appropriately spiced. The rum and eggnog tart was delicious with just the right level of rum detected in the tart. The pistachio and chocolate Battenberg cake was impressive, because I find that a lot of pistachio desserts really lack the pistachio flavour, but this one came through with the pistachio-goodness. 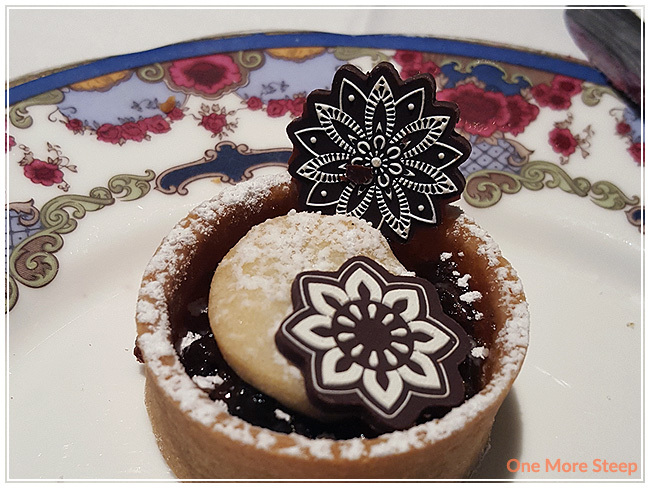 Our afternoon tea outing was for my birthday (back in November) – so many thanks to the Fairmont Hotel Vancouver for sending this super cute cake to my table. Chocolate gaunche over a chocolate cake. The cake was light and fluffy, with a sweet, tasty later of gaunche. 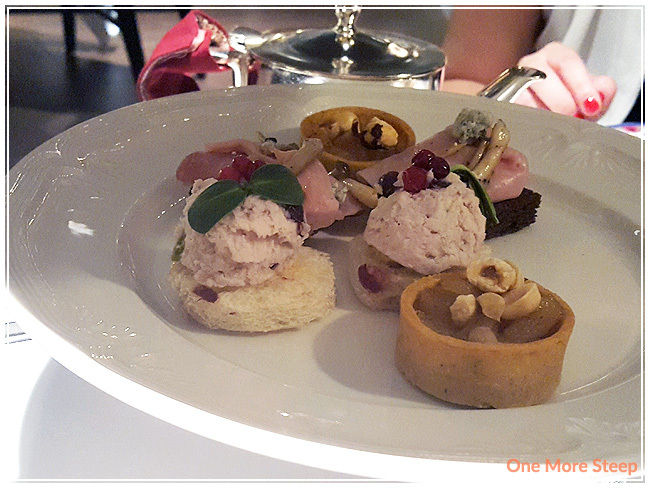 I really enjoyed my afternoon tea experience at the Fairmont Hotel Vancouver. The service was impeccable. I wish the lighting had been a bit better, but it did add to the ambience of the whole experience. 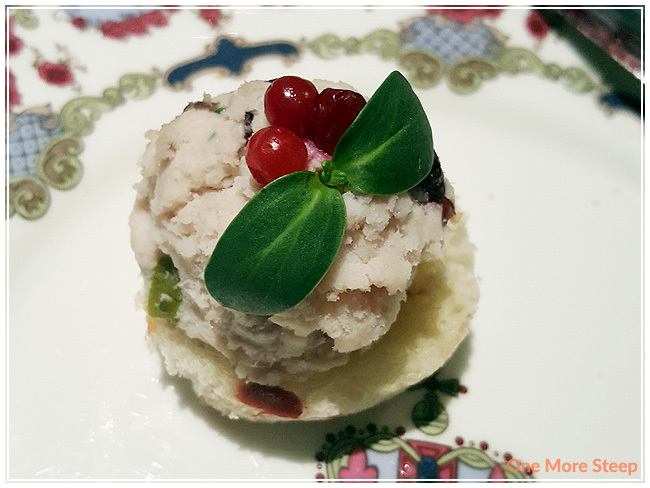 I loved the cute names of the food items – they were delicious, so creative, and seasonally themed. The selection of tea was nice, and I think next time I’d opt for a different tea just to change things up. 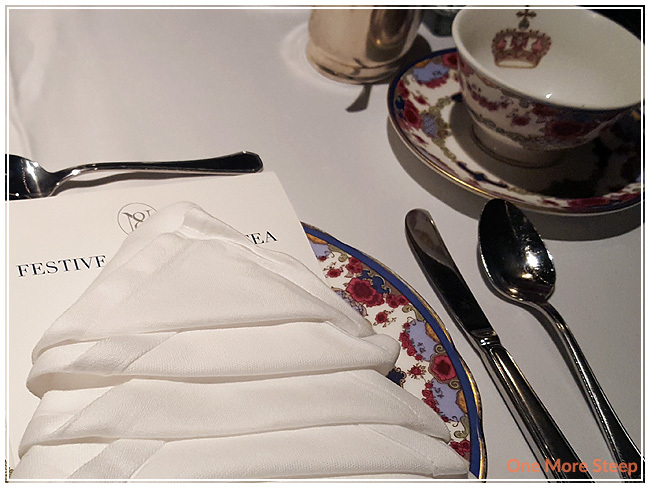 I would definitely love to go back to the Fairmont Hotel Vancouver again for afternoon tea. 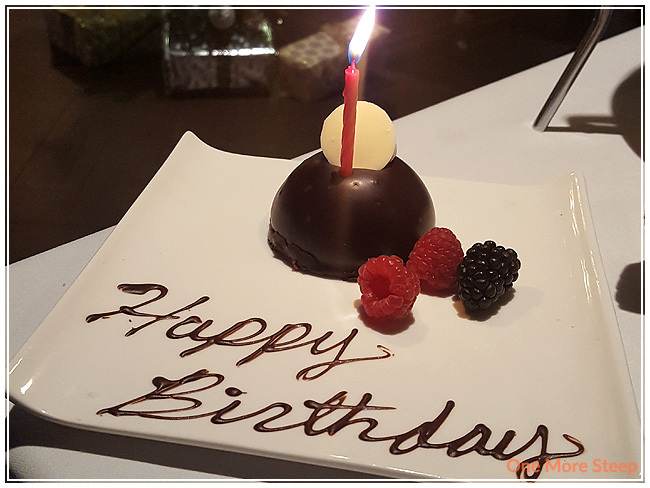 It’d definitely be for a special occasion based on the price – but considering the food, service, and location was a wonderful experience, I’d love to experience it again.